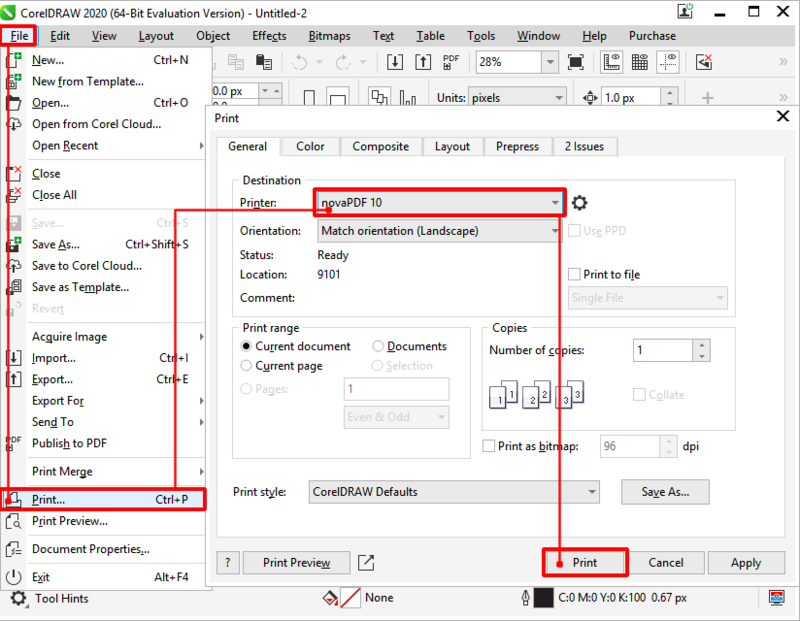 The following tutorial describes the conversion of a CorelDRAW file (.CDR) to a PDF document. novaPDF allows the users to create PDF documents from any Windows program that supports printing, including CorelDRAW. CorelDRAW is a professional graphic design software that includes all tools needed for illustration, layout, photo editing, web graphics and website creation. The CDR file extension represents the proprietary format for the vector graphic drawings created with CorelDRAW. While creating files in .cdr format are possible only with CorelDRAW, you can open/edit these graphics files with 3rd party programs capable of viewing the format (i.e. Inkscape). The proprietary format and inability to open them with other applications make CDR files unsuitable for sharing them with others (i.e. for reviewing purposes). This is why having the file in PDF format for project sharing and development is a great advantage as you can increase the file availability for other people and decrease application dependability in managing it (PDF files can be opened by a wide range of PDF viewers). novaPDF can help you in your conversions easily and with it you can also perform additional actions on the resulting PDF file starting from bookmarks / watermarks and ending with signatures, security settings etc. Open CorelDraw, click on File –> Open or press Ctrl + O and browse for the drawing that you want to convert to PDF. After opening the file, go to File->Print or press Ctrl + P and from the Printer dropdown list select novaPDF. After setting up any additional options click on Print and choose where you want to save the PDF file. 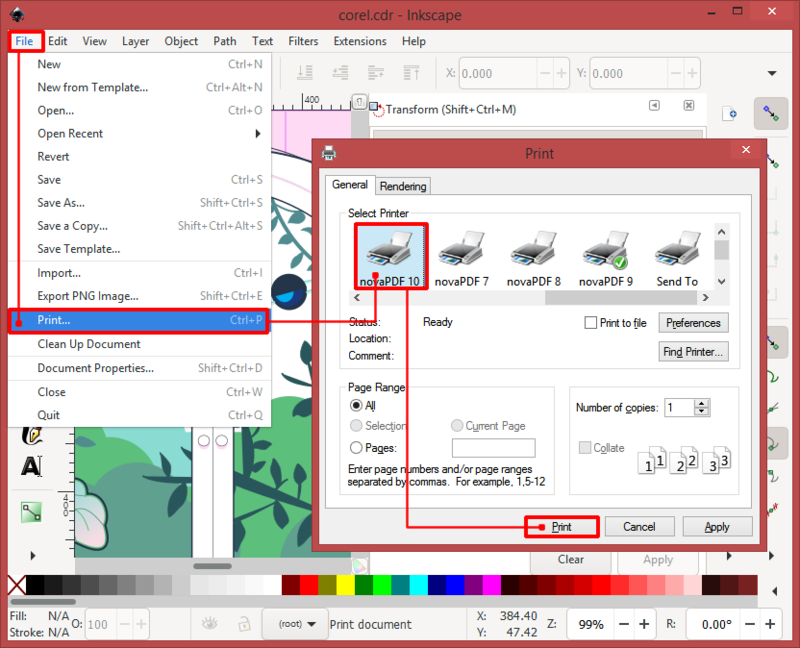 Open Inkscape then click on File, Open and locate the CDR file you want to convert to PDF. Go to Print, choose novaPDF from the Select Printer list and after making any additional changes click on Print. Choose the destination of the PDF and your CDR will be converter on the fly. Having the drawing converted to a PDF document helps the people to interact with the file faster and better (read, edit, add further information).